Become a power baron or create a technological think tank! 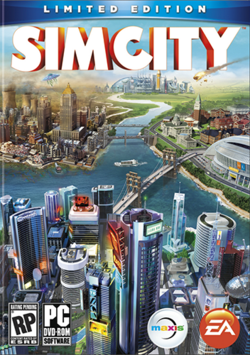 SimCity will feature an extensive online component, according to the lead director of the game. In fact, it’s built from ground up so there will be very few issues with it. The game comes out next year, but is already shaping up to be something special. “We really thought about this SimCity as multiplayer from the ground up. Cities are no longer in a bubble. You can play in a region with other cities, and there’s a lot simulation that’s going on between cities. You can play multiple cities or invite friends into your region and play with others,” he told during a Q&A after the game’s livestream finished. Become a power baron or create a technological think tank! The more you invest in a specific industry, the more influence you have over your region and the SimCity world. As mayor of a producing metropolis you can choose to provide goods to neighboring cities, trade on the global market, or keep it all for yourself. Your decisions also affect the global price of resources. Check the leaderboards to see your status as an industrialist, and make a name for your city in your region and the world!